A group of local Residents and Business people are getting together in Downstrands to revisit the Tourism Brochures they compiled some years ago. 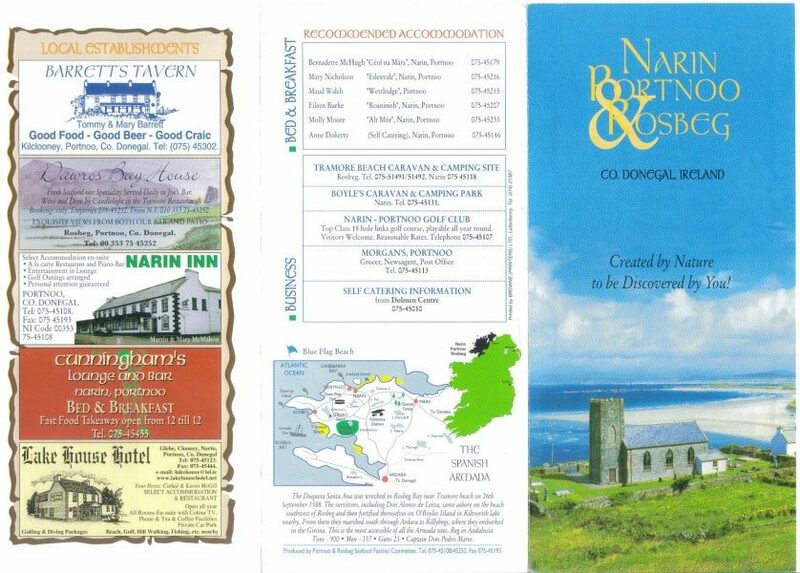 At a meeting held on the 20th of April, in the Lake House Hotel, copies of the old brochures were on hand for all to view. The original of these (which is thought to have been compiled around 1980), which was a glossy A3 folded pamphlet, with a hand drawn map of the area, brought many a wry smile from all those who remembered it. This brochure is thought to be the brainchild of Tim Ring (Uncle of Brian Morgan), but this is open to correction. The second more modern production dates to the turn of the millennium (as there is a picture of the fledgling Dolmen Centre included). 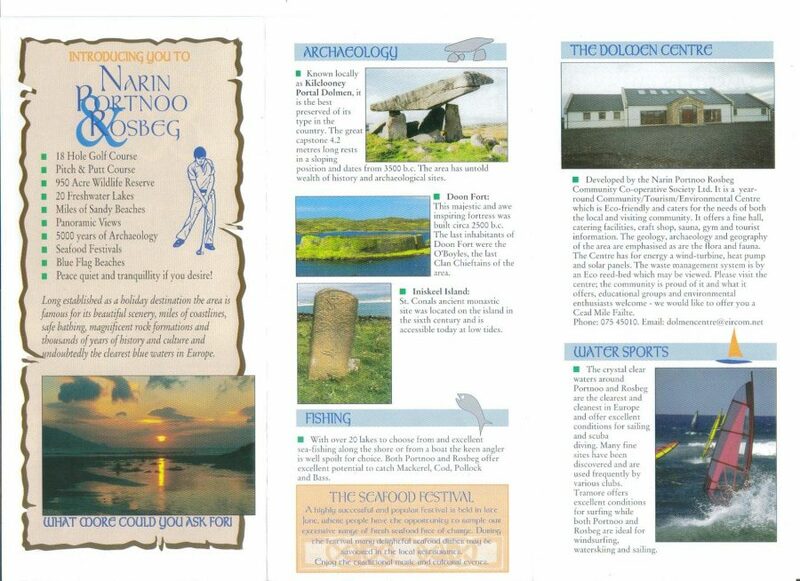 This was the work of the ‘Seafood Festival Committee’, and this brochure winged it’s way to many far corners of the globe (as it was given to any visitors for dispersal when they reached home). It was agreed by all, that both productions have ‘aged well’, and are a testament to the long history of Tourism promotion in the area. If you would like to be a part of the new brochure development or would like to feature in the compilation, please do so via Mary or Martin McMahon (care of the Lake House Hotel – 074 9545123).